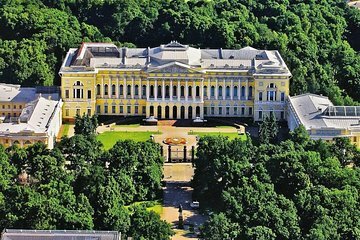 Take the day to wander and explore one of the five main palaces of the State Russian Museum during this private tour. Your guide can plan your day according to your preferences, and your itinerary for the day can be altered based on what you’d like to do. The five areas of the museum include the Mikhailovsky Palace, the Stroganov Palace, St. Michael’s Castle, the Benois Wing, and the Marble Palace. Had a great and thorough tour of the Russian Museum. We started with a walk from my hotel where we discussed the history of the area. The tour itself was great. My guide was incredibly well informed and enthusiastic about the art. A great tour!